U-Line Corporation manufactures built-in ice makers designed for undercounter installation. These units are installed beneath a kitchen countertop to save the home chef working space and time. If your ice maker does not work properly, troubleshooting it can resolve common issues and repair minor problems without costing you time and money spent on a service call. If you are unable to resolve the problem through troubleshooting, however, it is best to contact a service technician. Remove the U-Line nameplate on the side of the ice maker door if the light remains on when the door is closed. Turn the two screws securing the door actuator counterclockwise with a screwdriver to loosen them. Push the actuator forward so it contacts the door when closed. Tighten the screws on the actuator and replace the nameplate. Defrost the ice maker if it is a manual defrost model and more than 1/4 inch of frost is present. Unplug the ice maker. Remove the ice bucket and discard the ice. Place a towel on the bottom of the ice bin and fill the ice bucket with warm water. Set the ice bucket on the towel and leave the ice maker door open. Remove the ice bucket and discard the water after one hour. Wait for the frost to melt completely. Remove the towel and clean the interior of the ice maker with a damp cloth. Inspect the door to ensure it is sealing properly if frost develops inside the ice maker. Clean the door gasket with a damp cloth if it is dirty or sticky. It is normal for frost to develop during periods of high humidity or if the room's temperature is warmer than usual. 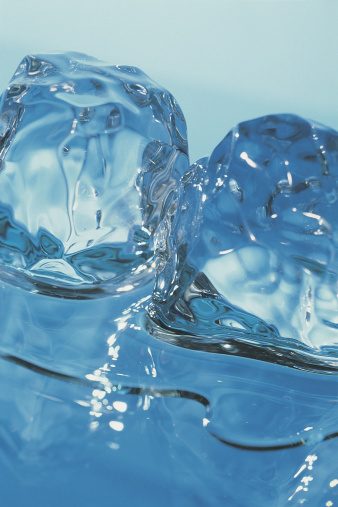 Allow moisture to dissipate if condensation appears on the exterior of the ice maker. This is normal during periods of high humidity. Turn the numbered dial to adjust the temperature if the ice maker is too cold or not cold enough. Wait 24 hours and check the temperature again. Readjust if needed. Shake the ice bucket to break apart cubes that are frozen together. This is normal if the ice maker is not used often or the room's temperature is warmer than normal.